WITHIN two years, Sydney’s Russian-speaking Jewish community will have a new permanent home. 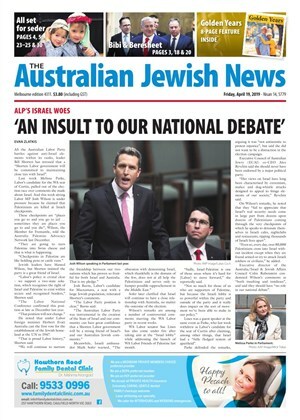 THE Sydney Beth Din (SBD) has accused the NSW Jewish Board of Deputies (JBOD) of having a "history of effectively undermining the theological basis of Orthodoxy and halachah" after JBOD last week resolved to investigate it. 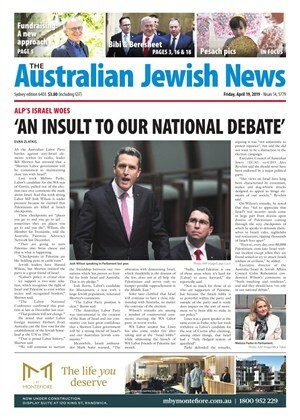 IT has been revealed that Sydney’s Orthodox rabbis were told they were prohibited from attending the communal funeral service of former NSW Jewish Board of Deputies (JBOD) Jeremy Spinak, who died at the age of 36 last year, because it was being held at “a Reform Temple” . THE rabbis of the Sydney Beth Din (SBD) have appealed a December Supreme Court ruling which found them in contempt of court and the associated penalty of $50,000 in fines plus court costs, expected to be more than $250,000, handed down last week. IF you forget to go to shul this Rosh Hashanah or just don’t have a chance to make it to synagogue, don’t fret: you can still hear the blowing of the shofar ... but at an unlikely venue. AROUND 50 young volunteers gathered at the National Council of Jewish Women of Australia’s (NCJWA’s) Fanny Reading Council House late last month to cook for the elderly.